Post Diwali, till date the air pollution levels in and around New Delhi and the NCR has led to an increase in the demand for air purifiers. Today air purifiers have become an emerging category in India market. With growing awareness and rise in pollution online retailers, chemists and now even the retail shops started selling air purifiers. The market size for air purifiers in India in the year 2016-16 was pegged at 40,000 units. It is forecast to grow at least three times to 1,00,000 units by the end of the current financial year. In value terms, the segment is expected to touch Rs.1,500 crore by 2021. Even the online marketplaces have seen a 300 per cent spike in demand for both air purifiers and air masks. "Sales have started picking up from the last week with persistent smog over Delhi since Diwali. Sale of air purifiers will surely be seeing a remarkable spike in the next two months. Additionally, the increasing attending on rising pollution in urban centers has indirectly led to an increase in sales in India on a year-on-year basis," said Syed Moonis Ali Alvi, General Manager (Water purifier and air purifier) at Panasonic India to a newspaper. This has been the new style statement for the youngsters People are posting pictures on social media wearing air purifier masks of them with messages on how to protect yourself from the quality of air especially in Delhi. Masks with breathing valves have come up with different colors, designs and patterns. It is said N95 mask should be discarded after 2-3 days. Also, there are mask with replaceable filters too. Companies built these reusable respiratory masks that will let you replace the filter or cartridge. So, people easily replace the cartridges and carbon filters that is attached to you, according to the fashion. The price air purifiers range from Rs 9,000 and Rs 50,000, depending upon the increase in surface area of the house. Consumers are buying entry-level air purifiers and also high-end models priced up to Rs 30,000 because of the fear and awareness which has increased. Now, many e-commerce like Amazon, Snapdeal etc have seen rise in demand for air purifiers and masks compared to the last year. The reason behind this is the demand for pollution masks which has jumped about six times from last few days. The top selling brands in this category have been Philips, Eureka Forbes and Kent. A couple of Indian brands such as Octus and Lifelong are also attracting demand. Snapdeal has disclosed a sharp rise in sale of PM 2.5 micron masks. These are responsible to protecting users from some of the worst air pollutants. 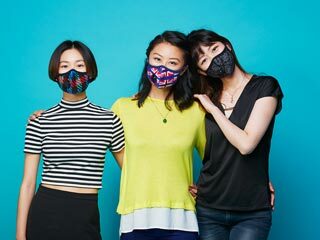 In fact, the company further adds that within the last month, it registered a 240 percent hike in sales of PM 2.5 Micron masks. While the sale of premium and stylised PM 0.3 micron have seen a rise through October and November. On the other hand, on Amazon, the Dettol Air Protect mask is become one of its best selling product that protects from PM 2.5, bacteria, dust and even pollen. At the same time, there is a shortage or unavailability of masks at the retail shops. Companies have ramped and have increased the imports. According to salesman, the demand for air purifiers has increased in the last three days especially in the last two days. The stores have sold more than 15 pieces per day and almost a dozen of them have been booked in advance as well. Hence forth, Delhi should start celebrating cracker-free Diwali and New Year to bring down the pollution level. People can celebrate booze-less festivals as drunken and rash driving leads not only killing of dogs on streets but also humans.